Is It That Hard To Follow Rule 34? Not According To The Judge. ≈ Comments Off on Is It That Hard To Follow Rule 34? Not According To The Judge. Most lawyers (and hopefully judges) would be forgiven if they could not recite on demand some of the more obscure of the Federal Rules of Civil Procedure. Rule 80 (Stenographic Transcript as Evidence) and Rule 64 (Seizing a Person or Property) come to mind. But Rule 34 (Producing Documents, Electronically Stored Information, and Tangible Things) is about as basic to any civil case as it gets. And yet, over and over again, the undersigned is confronted with misapprehension of its standards and elements by even experienced counsel. Unfortunately, this case presents yet another example. Venture Corp. Ltd. v. Barrett, 2014 U.S. Dist. LEXIS 147643, 1 (N.D. Cal. Oct. 16, 2014). Here is what happened: The Defendant served discovery requests on the Plaintiff and wanted the discovery and organized and labeled to identify the requests to which they were responsive; The Plaintiff did not want to do that and instead produced 41,000 pages of discovery, which ended with the Court ordering re-production for not following either Rule 34(b)(2)(E)(i) or (ii). Venture Corp. Ltd., at *1-2. Federal Rule of Civil Procedure Rule 34 is supposed to prevent the ‘document dump,’ which was the attorney Cold War equivalent of a doomsday weapon. . . .
Appellate Legal Writing – This Is How You Do It. ≈ Comments Off on Appellate Legal Writing – This Is How You Do It. Here’s something you don’t see everyday – a top-notch lawyer generously sharing everything juicy in his CLE presentation. I am a long-time follower of Mr. Ward’s blogs. I strongly recommend this blog, as well as his other blog, the [new] legal writer blog at http://raymondpward.typepad.com/newlegalwriter/. Notice how the propositions further the appellate brief’s argument to the court. They are not simply “The Court Should Grant Summary Judgment to Plaintiff” or something equally bland. Likewise, the propositions are not more than one sentence. The Statement of the Case is less than one page. The writer doesn’t bog the Court down with unnecessary facts. You can look, but you will not find even a whiff of legalese. Please pay attention when you read the materials and each sample document (thank you for including them!). Notice that no words are wasted. There is a reason why. Notice the word choice, the size of the sentences and paragraphs, and the crafting of the propositions and subheadings. The persuasive argument is easy to follow. The writer keeps the reader’s attention – an absolute must for anything you write. The Five Basic Excel Functions That Make Your Life Easier. ≈ Comments Off on The Five Basic Excel Functions That Make Your Life Easier. Excel is the illiterate man’s (and woman’s) favorite data manipulation tool. The literate i.e. those that can code, don’t need to worry themselves much about columns, rows, and the correct formula and its syntax because these wizards have their own devices. For everyone else, practically anyone in a management position, Excel is an essential work tool. Despite this, a lot of people, especially those just stepping into a job are often intimidated by it. In reality, if you learn Excel well enough, you can use it to keep time based records that update automatically, use it to store inventory, and even conduct surveys. That said, here are five very basic Excel functions that every beginner needs to know. . . Cool Tip – How To Re-Number Your Exhibits’ Bates Stamps For Trial. ≈ Comments Off on Cool Tip – How To Re-Number Your Exhibits’ Bates Stamps For Trial. This article is the first in a series entitled ‘Trial Tech Tips.’ Focused on the crossroads of law and technology, and in no particular order, we will share a collection of proven and tested methods for accomplishing a wide variety of common and/or critical tasks encountered during trial preparation or presentation. We will also try to rank them from one to ten on a ‘geek scale,’ with one being not too technical, and 10 being very technical. On a geek scale of one to ten, this article would be rated at about an 8. In litigation, it is generally a good idea to make sure that when a certain document is referred to, it is that exact document, and not another version of the same. In situations where there are more than one, and it can be proven, it can result in an interesting trial. Bates numbering has been around for some time, and is one good method of making sure that everyone is on the same page – literally. Through the years, inked stamps have been used, printed stickers, and nowadays the method most commonly used adds them via software – generally in the lower right corner of each page. Although the most efficient methods can handle a large volume all in one operation, this can also be done at the individual document level. While a conservative, Scalia has done good work for those charged in criminal cases in recent years. He’s been good on Fourth Amendment issues, the Confrontation Clause, and federal sentencing. And, at oral argument recently, on what is perhaps the most significant criminal justice issue of the day — how broadly we should interpret criminal statutes — Scalia has turned his considerable intellect again in a defense-friendly way. Whether to interpret a criminal statute broadly or narrowly is an intricate question. The ‘Rule of Lenity says that criminal statutes should be interpreted narrowly. Yet courts often read in a meta-‘Rule of Lenity’ that says that the Rule of Lenity itself should be interpreted narrowly. Moreover, judicial review of the scope of a criminal statute is tricky. There are thousands of federal criminal statutes on the books and Congress makes more every year. About 95% of the time, people charged with federal crimes plead guilty. Courts are highly resistant to litigate the meaning and breadth of a federal criminal statute before trial, which means that challenges to the interpretation of a statute are possible in a very small number of cases. What that means is that prosecutors’ interpretations of federal statutes are highly unlikely to be meaningfully challenged. And, when they are, generally they are interpreted broadly. . . .
Illinois Pension Law Ruled Unconstitutional. ≈ Comments Off on Illinois Pension Law Ruled Unconstitutional. Pension rights have been a controversial issue recently. In December, a judge for the US Bankruptcy Court for the Eastern District of Michigan [official website] ruled [JURIST report] that the city of Detroit is eligible for bankruptcy [JURIST op-ed]. The insolvent city’s debt [JURIST op-ed] includes 3.5 billion dollars in pension funds. The bankruptcy was allowed to go forward despite a Michigan state court ruling [JURIST report] last year which held that the city’s filing for bankruptcy violated the Michigan Constitution. The bankruptcy court held that the pension funds could not be treated any differently than other unsecured debt. In March 2013 the US District Court for the Southern District of New York [official website] denied [JURIST report] a motion to dismiss a lawsuit brought by a pension plan holder against JPMorgan (JPM) [corporate website; JURIST news archive]. The court found that sufficient allegations were raised to support a claim for breaches of both the duty of care and the duty of loyalty. Writing the Opening Of A Brief – The Right Way. ≈ Comments Off on Writing the Opening Of A Brief – The Right Way. Brief Openings, Brief Writing, Kenneth F. Oettle, Legal Writing, Litigation Strategy, Sills Cummis & Gross P.C. Open A Brief With Substance, Not Bluster, by Kenneth F. Oettle, Newsroom Publications, Sills Cummis & Gross, P.C. Ken Oettle is one of my favorite legal writers. In my opinion, his book, Making Your Point!, should be on the reference shelf of every serious legal writer. Yes, it’s that good. There are many excellent legal writers. Ken is one of the best. Beginner’s Guide to U.S. Treaties. ≈ Comments Off on Beginner’s Guide to U.S. Treaties. Article II, Section 2 of the U.S. Constitution states that the President ‘shall have Power, by and with the Advice and Consent of the Senate, to make Treaties, provided two thirds of the Senators present concur…. ‘ An early attempt by the President and Senate to negotiate the exercise of this power provided an interesting anecdote. According to the Senate Historical Office, on August 22, 1789, President Washington traveled to the Senate to submit a treaty concerning Native American Indian Tribes. While the President waited, the Senate decided to postpone consideration of the treaty rather than debate the questions in front of the President. According to Maclay’s Journal an irritated, President Washington exclaimed, “This defeats every purpose of my coming here!” and resolved to submit subsequent treaty communications to the Senate in writing. To learn more about the development of the treaty power and its application, please refer to the United States Constitution: Analysis and Interpretation’s discussion of Article II, Section 2. There are several options for researchers trying to find copies of treaties to which the United States is or was a party. In fact, we were inspired to write this post by the new Treaties digital collection added to the Law Library of Congress website. As of now, the digital collection includes a digital copy of the first four volumes of Charles I. Bevans’s Treaties and Other International Agreements of the United States of America, 1776-1949, which includes copies of the English version (or English translation) of multilateral treaties to which the United States was a party. Digital copies of the remaining volumes (5-12), which include the bilateral treaties to which the United States was a party during this period, will be added in the near future. The Treaties page also links to the United States Department of State’s Treaties and Other International Acts webpage, which includes PDF copies of the ‘executed English-language original of [each published international] agreement and certain other key documents’ for published international agreements entered into from 1996 to the present. The Treaties and Other International Acts series (also known as TIAS), which is ‘the official print publication format for treaties and agreements that have entered into force for [the] U.S.,’ was published by the Government Printing Office in paper form from 1945 to 2006, but is now available online. . . .
iPhone Candy Courtesy of iPhone J.D. Blog’s Sixth Anniversary! ≈ Comments Off on iPhone Candy Courtesy of iPhone J.D. Blog’s Sixth Anniversary! iPhone J.D. turns six years old this week. Seems like it was just yesterday that I wrote the first post on iPhone J.D., explaining why I found the iPhone a valuable tool in a law practice. Back then, almost no attorneys used iPhones (about 5% according to a 2008 Am Law Tech Survey), but now the majority of attorneys in the U.S. use an iPhone (around 60% according to the ABA). Over the past six years, I’ve written over 1,200 posts on iPhone J.D., including reviews of over 300 apps, reviews of every major iOS device released by Apple (from the iPhone 3GS to the new iPhone 6 and all models of the iPad) and reviews of over 300 accessories. I’ve also tried to provide lots of tips and tricks for getting the most out of your iPhone and iPad, and discussed all of the tech news that I think that you might want to know about if you use an iPhone or iPad. Through the years, I’ve gotten tons of great feedback from iPhone J.D. 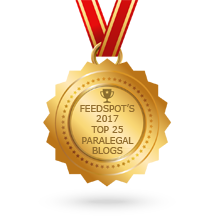 readers, ranging from emails to over 2,500 comments on the site, and I’ve been honored to share guests posts by attorneys from around the world who use iPhones and iPads in their law practice. Site traffic has grown steadily every year, and in just a few days, one of you is going to load iPhone J.D. and it will be the 5 millionth page view since the site launched. Popular posts this year. It’s a tradition on iPhone J.D.’s anniversary (1, 2, 3, 4, 5) to identify the most popular posts from the prior 12 months. Perhaps it reveals something about the topics that iPhone and iPad owners have been thinking about lately. Here are the ten most viewed posts published in the last year . . . .
Facebook And Its Big Brother Complex. ≈ Comments Off on Facebook And Its Big Brother Complex. ‘With most online services, there’s an understanding that when you use those services to share information, you’re also sharing information with the company providing the service,’ said Matt Scutari, manager of privacy and public policy at Facebook. ‘For users who are truly concerned with sharing their information with a particular platform, honestly, you might not want to share information with that platform,’ he said, speaking during a conference on digital privacy in Palo Alto, California, on Friday. ‘I don’t think there are many services out there who could claim they’re not using your information that you’re sharing with them for any purpose. They have to at least use that information to provide the service,’ he added. Data collection—what companies collect, and how it’s used—is an area of concern for Internet users in general, highlighted by some dramatic findings in a recent Pew survey. . . .
Westlaw Public Records Database Breached. Who Is Affected? ≈ Comments Off on Westlaw Public Records Database Breached. Who Is Affected? In recent weeks, Verizon and AT&T have been caught up in a privacy firestorm over their use of so-called ‘permacookies,’ a method of tracking what their users do while browsing the Web with the intent of sharing that data with advertisers. Verizon’s permacookie program lives on, but AT&T has ceased the practice, ProPublica reported on Friday. AT&T tells ProPublica that its use of permacookies was ‘part of a test,’ which has since wrapped up, but the company says that it ‘may still launch a program to sell data collected by its tracking number.’ For its part, AT&T says that it will allow customers to opt out of the program if—or when—it decides to use permacookies for advertising purposes. The story behind the story: Permacookies aren’t cookies in the traditional sense: Instead, they’re unique identifiers appended to website addresses you type in on your device that let carriers see what kinds of sites you visit. Permacookies exist for the same reason traditional tracking cookies exist—so advertisers can see what sorts of things you might be interested and serve up related ads in the hopes that you’ll click on them. But unlike regular tracking cookies, which you can easily delete from your browser or block entirely, there’s no way of removing or blocking permacookies since they’re handled entirely by the carrier. . . .
Whatever Can Be Misunderstood, Will Be. ≈ Comments Off on Whatever Can Be Misunderstood, Will Be. One of my favorite quotations! Mr. Luvera hit the nail on the head, not only for trial presentations, but for any type of writing regardless of your profession. 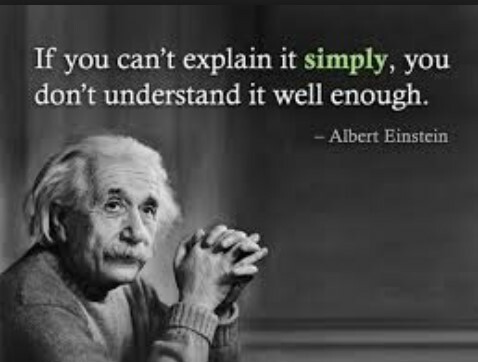 Some people think that their writing should be complex, with lots of Latin, jargon, and legalese. Technical writers often use complicated terms and words understood (barely) by people who work in their industry, but no one else. Most readers skim or skip the long, single-space block quotations often found in legal briefs. Wouldn’t you? Imagine having to slog through poorly written briefs day after day? Or imagine that you are a juror who must decipher poorly written jury instructions. If what you say is that important, why risk losing the reader even for a moment? Malpractice Immunity And Defensive Medicine. ≈ Comments Off on Malpractice Immunity And Defensive Medicine. Changing laws to make it more difficult to sue physicians for medical malpractice may not reduce the amount of ‘defensive medicine’ practiced by physicians, according to a new RAND Corporation study. Studying the behavior of emergency physicians in three states that raised the standard for malpractice in the emergency room to gross negligence, researchers found that strong new legal protections did not translate into less-expensive care. The findings are published in the Oct. 16 edition of the New England Journal of Medicine. It is widely said that defensive medicine accounts for a substantial part of the hundreds of billions of dollars of unnecessary health care spending that is estimated to occur annually in the United States. Malpractice reform has been advocated by many experts as a key to reining in health care costs. RAND researchers looked at three states — Georgia, Texas and South Carolina — that about a decade ago changed the legal malpractice standard for emergency care to gross negligence. Other states use the more common ordinary negligence standard, or a failure to exercise reasonable care. The higher standard means that for physicians accused of malpractice in the three states examined, plaintiffs must prove that doctors consciously disregarded the need to use reasonable care, knowing full well that their actions were likely to cause serious injury. . . .
Should Attorneys, Not Judges, Conduct Voir Dire At Trial? ≈ Comments Off on Should Attorneys, Not Judges, Conduct Voir Dire At Trial? Ever had the experience of asking someone to ask someone else something on your behalf? It’s like a sixth-grader’s attempt to find out if someone likes you. Sometimes you need a little plausible deniability but, in most cases now, it’s easier and more direct to just ask on your own. And that is pretty much what attorneys want in voir dire. It is nice for the judge to explain the procedures and deal with some of the more obvious hardship and cause challenges, but I think it’s safe to say that every trial lawyer wants the chance to ask their own questions in voir dire. Unfortunately, in some states and in most federal courtrooms, attorney-conducted oral voir dire is either limited or nonexistent. The judges in those courtrooms, however, have discretion, and can allow attorney-conducted oral voir dire if they think the case or the circumstances call for it. So, when attorneys do have an opening to argue for their own chance at the lectern during voir dire, how do they make the case? If the judge is firmly convinced that it’s wasted time or an unwelcome opportunity for lawyers to ask panelists to prejudge the case, then nothing is going to change that judge’s mind. But if judges are on the fence, then a joint request from the parties, along with a few good reasons, might be enough to sway them. This post offers five reasons, along with some supporting research, that could buttress a brief or an oral argument in favor of attorney-conducted oral voldir dire. . . . Improve Your Brief With The Curse of Knowledge Test. ≈ Comments Off on Improve Your Brief With The Curse of Knowledge Test. Garner has a similar recommendation in The Winning Brief, at least for cases where the amount at stake is worth the expense: Convene a focus group of lawyers unfamiliar with the case to play the part of appellate judges by reading and reacting to your draft brief. This exercise has many benefits. One of them is to tell you whether the curse of knowledge has infected your brief. Copyright Infringement and Fair Use. ≈ Comments Off on Copyright Infringement and Fair Use. Basic Evidence Presentation Tips For Young Lawyers. ≈ Comments Off on Basic Evidence Presentation Tips For Young Lawyers. As a young lawyer, you are in a place that I left some time ago. However, I have watched you step into jury courtrooms with a level of anticipation and excitement that is refreshing. While a few of you mask it well, I know there is also some anxiety lurking in the background. Don’t worry, because that anxiety strikes even the most seasoned litigators. Now I sit on the bench, and I sometimes wish I could call a time out during the trial to share with you some simple tips that will put you more at ease as you proceed with your case. Being a member of the judiciary is an honor that comes with extraordinary powers and responsibilities. These powers do not include a coach’s ability to call for substitution of players, so in this note I want to briefly address some basic practical pointers to improve your overall practice as well as touch upon the specific issue of presentation of evidence to a jury. I hope by doing so I give you peace of mind and contribute, in a small way, to your growth as a fine attorney. How quickly you acclimate yourself to courtroom practice depends in large part on you, your learning style, and how many opportunities you have to appear before the court. In the beginning, you may feel overwhelmed by the number of items you must remember, track and recall at a moment’s notice. In your haste, you may overlook a few very basic points that can actually help you. . . .
≈ Comments Off on How To Research Corporations. Say you’re working on a big case, and you need as much information on the opposing company as possible. Or perhaps you’re pitching a potential new client, and want to know everything about their business for your presentation. Maybe your client’s competition is developing a new product or you want to read all the news stories about some development that will affect your business or your clients’. Do you know how to get that information quickly? And for free? There was a time not so long ago when a law firm would have to use an ‘information specialist’ to find this information, or in extreme cases, hire a ‘corporate spy’ to dig up the most sensitive competitive business information. But today, with so much business, legal and news information available on the Internet, getting this kind of ‘business intelligence’ is infinitely easier. If you know where to look, you too can be a corporate 007. . . .
You know it, and I know it: A good lawyer can be expensive. With all of the companies out there that are providing fill-in-the-blank, do-it-yourself Wills and other estate planning documents on the cheap, it may be awfully tempting to try to save money using them. Many start at only around $100. In some instances, using estate planning software or websites may actually be a good idea. For example, if you have a very simple estate plan with no estate tax issues, and you are leaving the bulk of your estate to your spouse or kids, you should consider it. Collection of Judges’ Best Advice On Legal Writing. 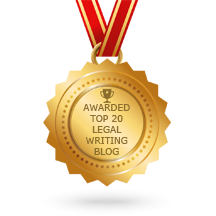 ≈ Comments Off on Collection of Judges’ Best Advice On Legal Writing. Lawyers are notoriously poor at gauging what judges prefer in legal writing. Too many of us believe, for example, that judges expect us to use legalese. In 1991, when the Texas Plain-Language Committee surveyed all the state district and appellate judges in Texas, we found that more than 80 percent prefer plain language (Plaintiff complains of Defendant and says) over legalese (Now comes the Plaintiff, by and through his attorneys of record, Darrow and Holmes, and for his Original Petition in this cause would respectfully show unto the Court the following). Indeed, several judges responded to the survey with a plea that we stamp out legalese once and for all. Bryan A. Garner (bagarner@att.net), president of Dallas-based LawProse, Inc. (www.lawprose.org), is the author of many books on writing, including Legal Writing in Plain English (2001) and The Elements of Legal Style (2d ed. 2002). He is also editor in chief of all current editions of Black’s Law Dictionary. He teaches at Southern Methodist University School of Law. Where Blue Coat has been less than fair is with respect to archival email for its eight custodians. Blue Coat may largely be in the right that it should not have to dig through legacy systems when Finjan is unable to the same for its custodians. But one party’s discovery shortcomings are rarely enough to justify another’s. And here, at least with respect to documents mentioning Finjan—the one specific category of documents Finjan could identify that it needed from archived email—Finjan’s request is reasonable. Witness Credibility When Witness Has A Criminal History. ≈ Comments Off on Witness Credibility When Witness Has A Criminal History. Yesterday [November 7, 2014], we saw the Colorado Supreme Court grappling with whether an act of shoplifting is admissible as evidence bearing on a witness’s credibility. In that same opinion, People v. Segovia, the C.S.C. noted that acts of violence have typically been excluded when offered to impeach credibility. This frequently cited notion, that acts of violence are not particularly relevant to credibility, is worth interrogating further. To do so, I turn to another opinion from the past decade. This one is a frequently cited opinion by then Judge Sotomayor of the Second Circuit, U.S. v. Estrada, 430 F.3d 606. The case was an appeal of the convictions of two men who were found to have conspired to sell cocaine and heroin. At trial, the government called cooperating witnesses. Defense counsel sought to impeach the two witnesses with evidence that between them they had burglary, larceny, felony drug and murder convictions. Acknowledging that F.R.E. 609(a)(1) suggest that felony convictions are presumptively relevant to credibility, the trial court held in camera hearings to probe into the nature of the larceny, felony drug and murder convictions. It found that they weren’t especially probative of truthfulness. The court therefore ruled that defense counsel could not name the particular felonies committed or ask about the nature of the convictions, but instead could simply elicit the fact of the convictions and the dates. Once again, then, rejection of social mores and ‘violation of basic standards” are held up as clear indicators of lack of credibility. Strangely, though, crimes of violence seem to fit those definitions quite well. The very criminalization of such acts suggest that society demands that one maintain self-control and refrain from violence in most circumstances. A violent lack of inhibition or a deliberate indifference to the injuries caused by ones’ actions arguably run contrary to basic standards that glue society together just as fundamentally as the decision to steal from another person. Even if, instead, lying is linked to the ability to scheme or plan, then this is not much more helpful as a way to distinguish crimes of violence. Certainly, many theft crimes may happen without much thought (shoplifting, for example) and they may be more excusable as the result of thoughtlessness than violence that causes bodily harm to another person. Why is it likely that someone who steals $100 on a whim is more prone to lying than someone who lashes out at another with a beer bottle during a brawl? Why isn’t it equally likely that people who are prone to fly into a violent rage at a perceived slight or recklessly injure others would be careless of the courtroom oath or think nothing of fabricating facts in order to protect themselves? Judge Sotomayor doesn’t answer these questions. Ironically, even as she offered this fairly detailed explanation of how to weigh felonies under Rule 609(a)(1), Judge Sotomayor illustrated the subjectivity of such line drawing. Coming to the opposite conclusion of the Colorado Supreme Court, she found that it was not error for the district court to conclude that the circumstances of one of the witness’ shoplifting conviction did not ‘involve falsity or deceit such as to fall within the ambit of Rule 609(a)(2).’ Her explanation: stealth and dishonesty are not the same thing.